On April 23, 2018, a rented van mowed down innocent people on a beautiful day in north Toronto. Here are brief portraits of some of the victims of that tragic day. CBCPrime Minister Justin Trudeau, Gov. Gen. Julie Payette, Premier Kathleen Wynne and Mayor John Tory are some of the dignitaries expected at a vigil this evening to honour victims of Monday's van attack in Toronto. CBCPrime Minister Justin Trudeau, Gov. 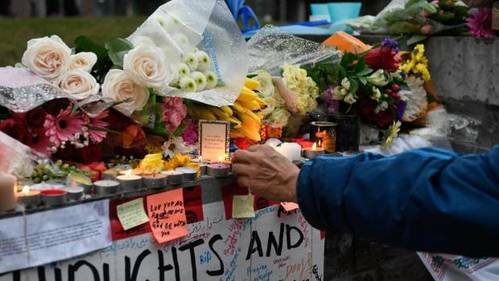 Gen. Julie Payette, Premier Kathleen Wynne and Mayor John Tory are expected to be some of the dignitaries at a Sunday evening vigil to honour the victims of Monday's van attack in Toronto. 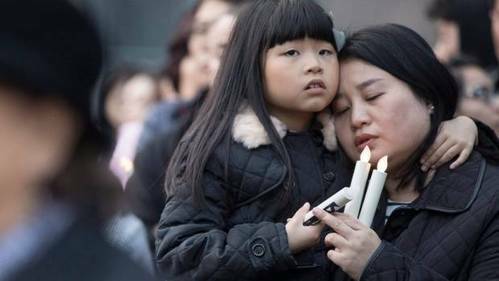 CBCToronto's Korean community is in a "state of shock" after three of its members were among 10 people killed Monday when a van slammed into pedestrians along one of the city's busiest streets. 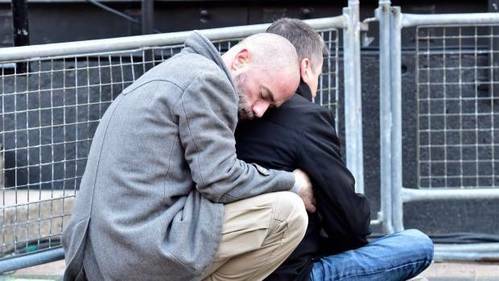 CBCA local shop manager, who held the hand of one of Toronto's van attack victims as he died, says she "didn't want him to be alone" — although they had never met before. Prime Minister Justin Trudeau and Gov. Gen. Julie Payette join mourners in Toronto ahead of the Sunday evening vigil to honour victims of the Yonge Street van attack. - Beutis Renuka Amarasingha, 45, of Toronto. - Andrea Bradden, 33, of Woodbridge, Ont. - Geraldine Brady, 83, of Toronto. - Sohe Chung, 22, of Toronto. - Anne Marie D'Amico, 30, of Toronto. - Mary Elizabeth (Betty) Forsyth, 94, of Toronto. 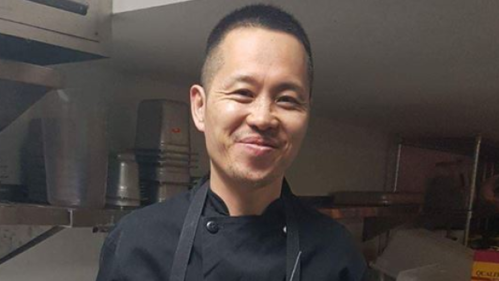 - Chul Min (Eddie) Kang, 45, of Toronto. - Ji Hun Kim, 22, of Toronto. - Munir Abdo Habib Najjar, 85, of Toronto. - Dorothy Sewell, 80, of Toronto. CBCPrime Minister Justin Trudeau, Gov. Gen. Julie Payette, Premier Kathleen Wynne and Mayor John Tory are some of the dignitaries expected at a Sunday evening vigil to honour the victims of Monday's van attack in Toronto. 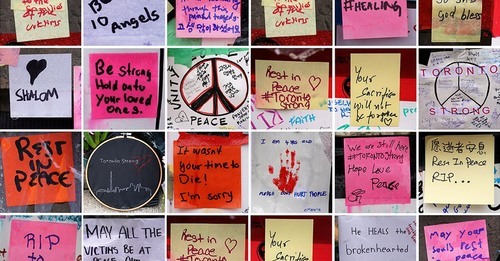 Tonight’s vigil will feature speakers from different faiths and choirs from around the city and was co-organized by the City of Toronto and community groups Faith in the City and the Toronto Area Interfaith Council. Amir Modaressi says he came to tonight's vigil as part of the healing process. 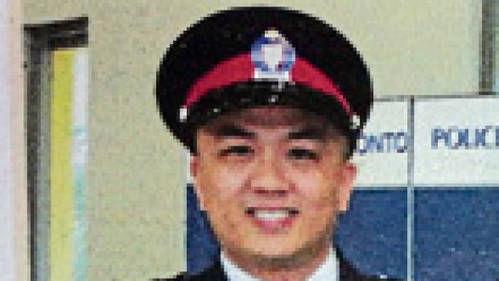 CBCToronto police Deputy Chief Peter Yuen says the police officer who apprehended the suspect in Monday's deadly van attack doesn't want to be considered a hero. 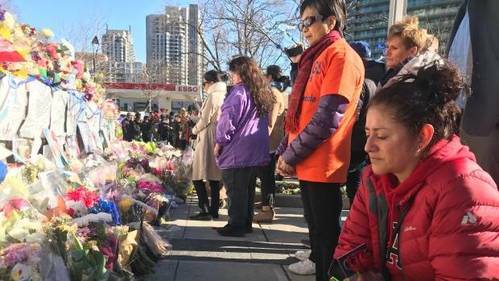 CBCThousands of people have gathered at a vigil to honour the victims of a deadly van attack in Toronto's north end.